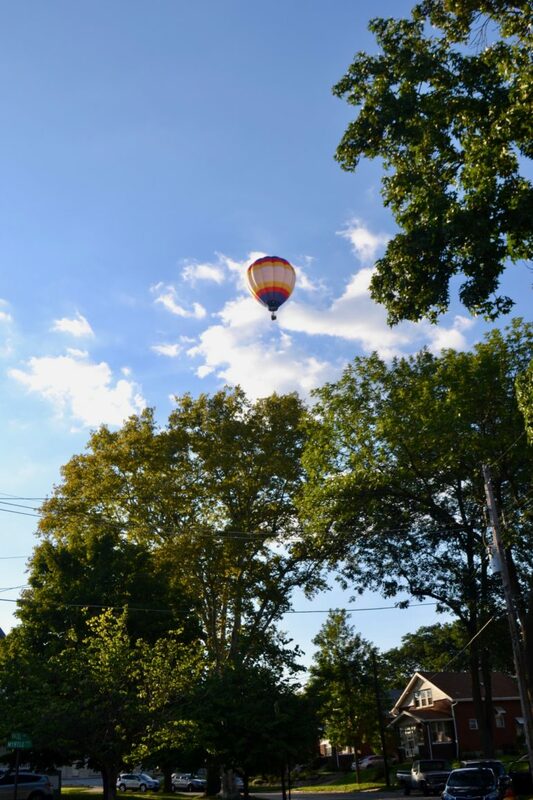 The Great Forest Park Balloon Race, which took off from Art Hill on Saturday, was blown right over Maplewood as everyone was out enjoying the day. 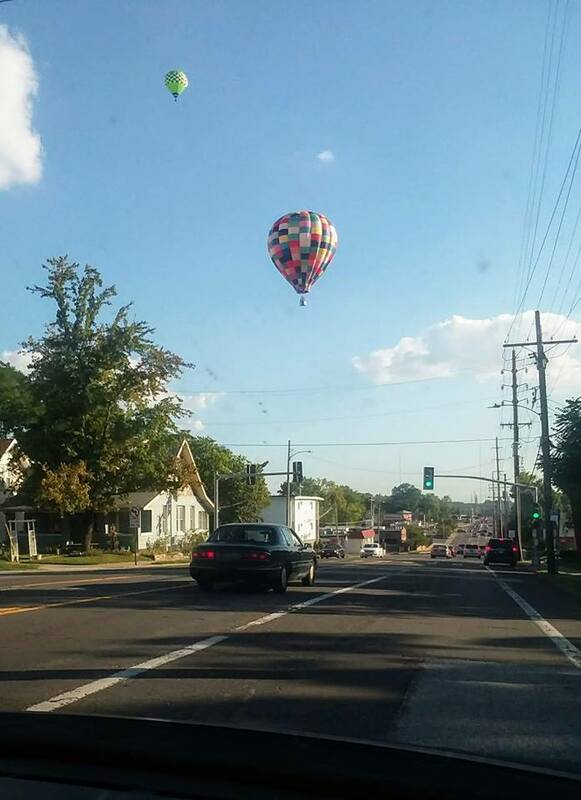 Photos below taken by Shelly McBurnett at Myrtle and Hazel avenues. 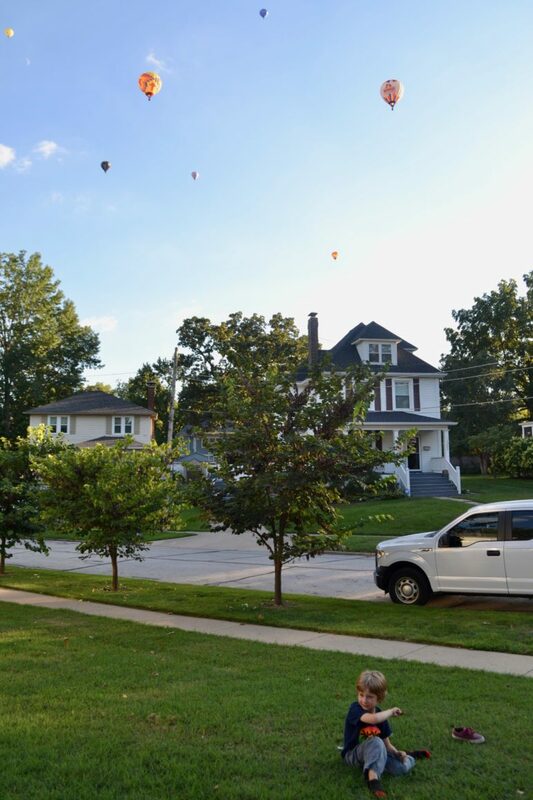 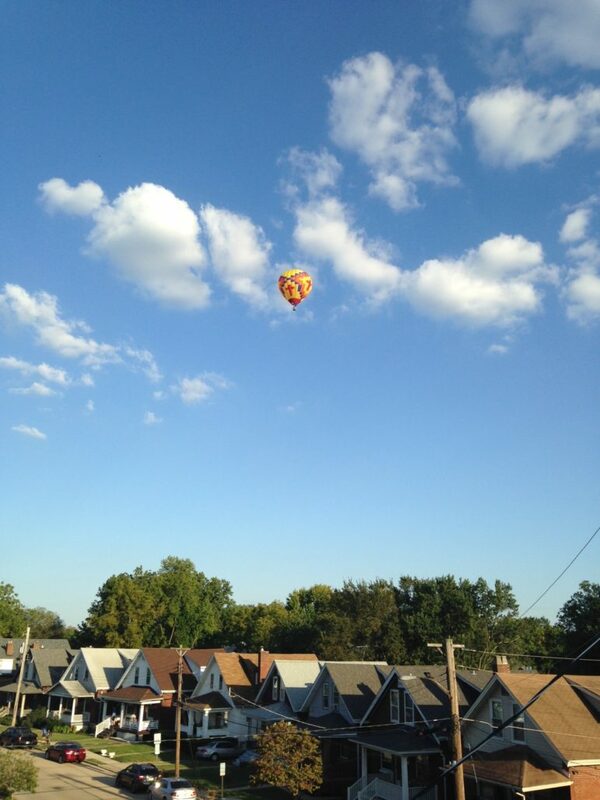 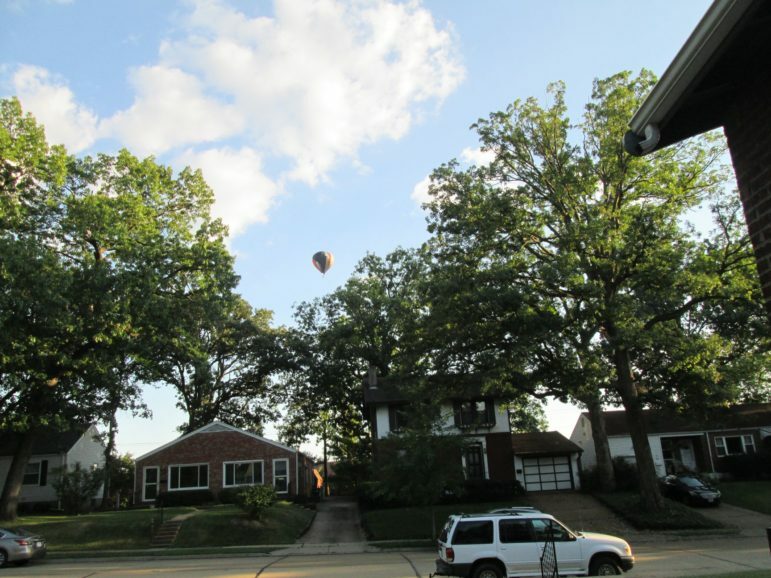 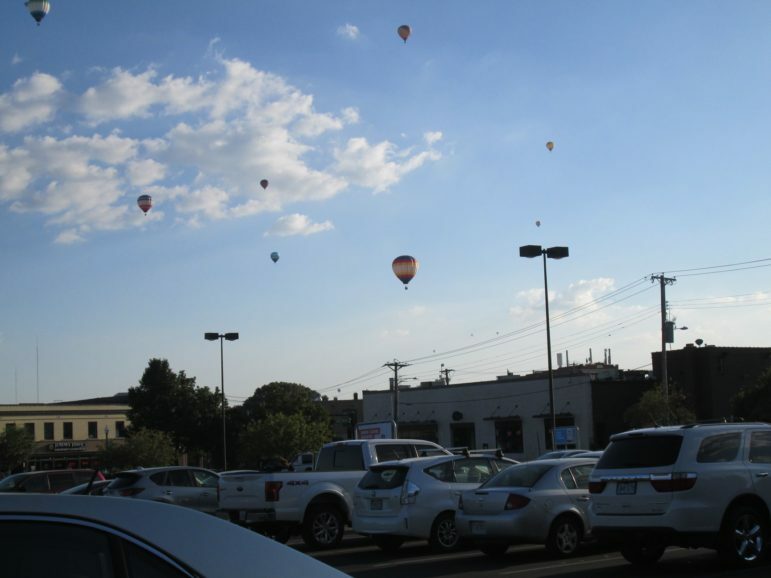 Linda Webb on Facebook: Today I just looked up to see the balloons from the Great Forest Park Balloon Race as they flew over Maplewood! 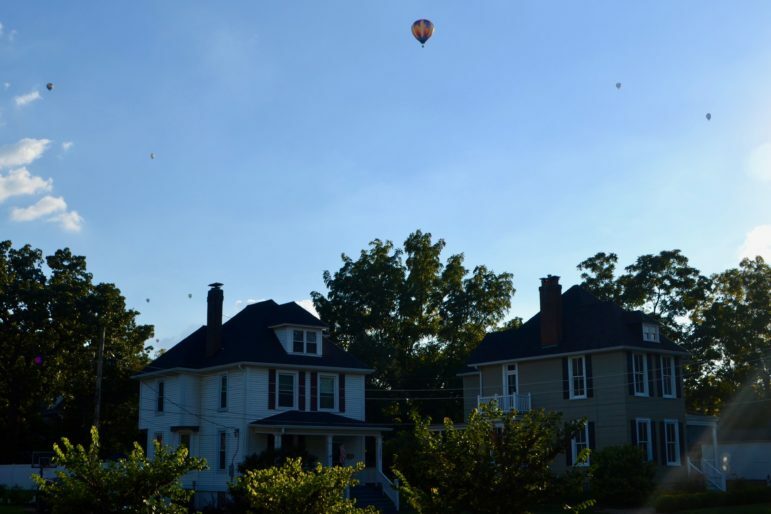 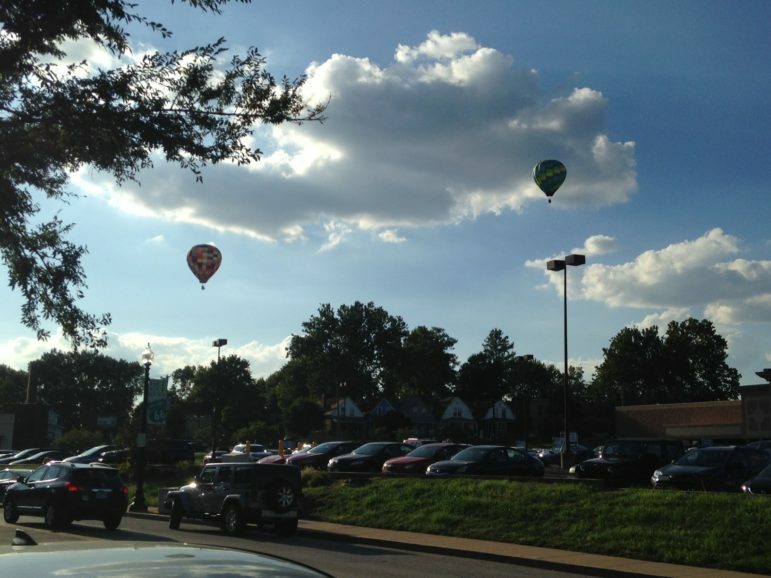 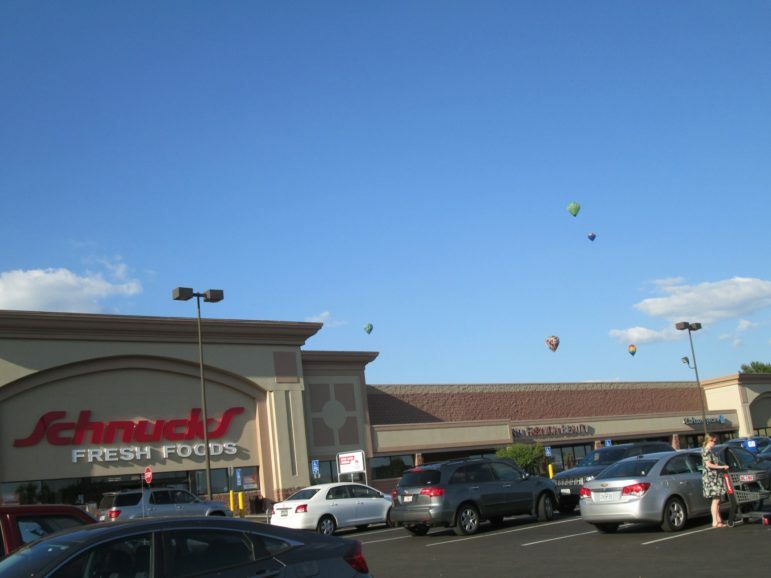 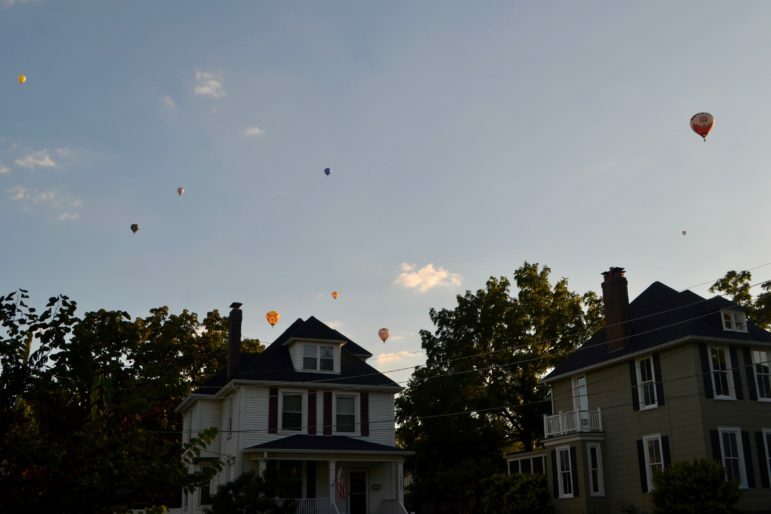 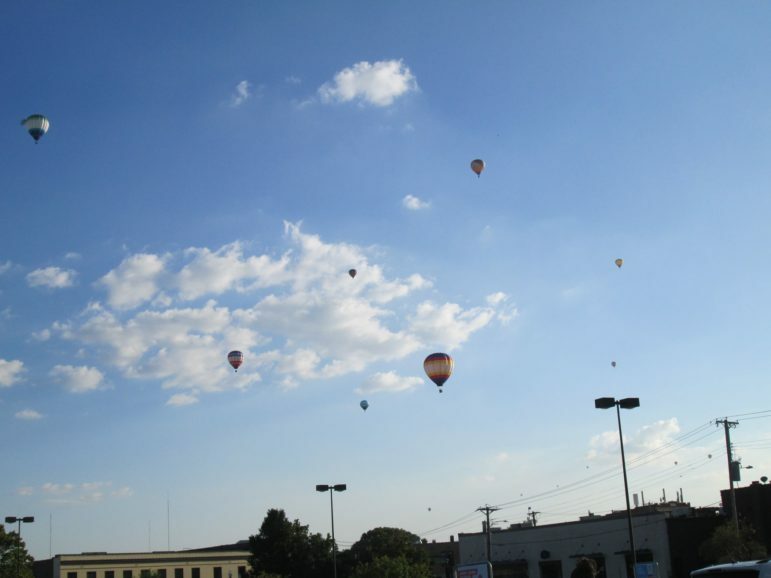 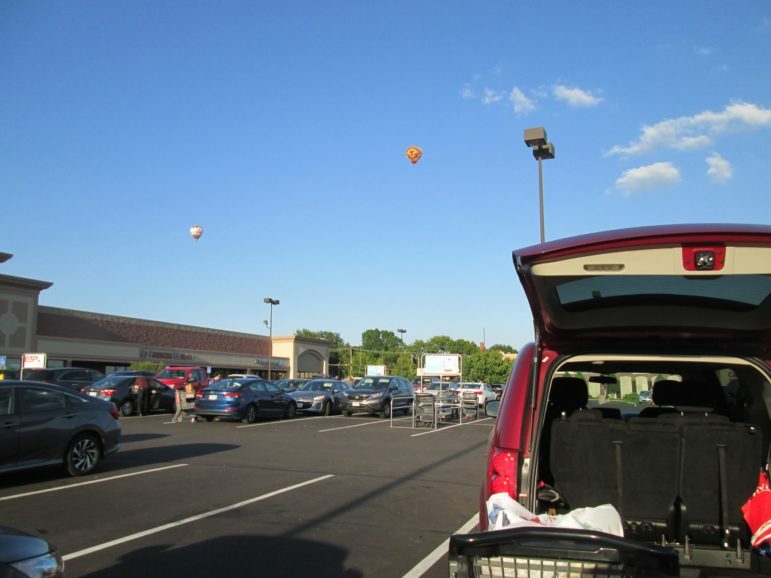 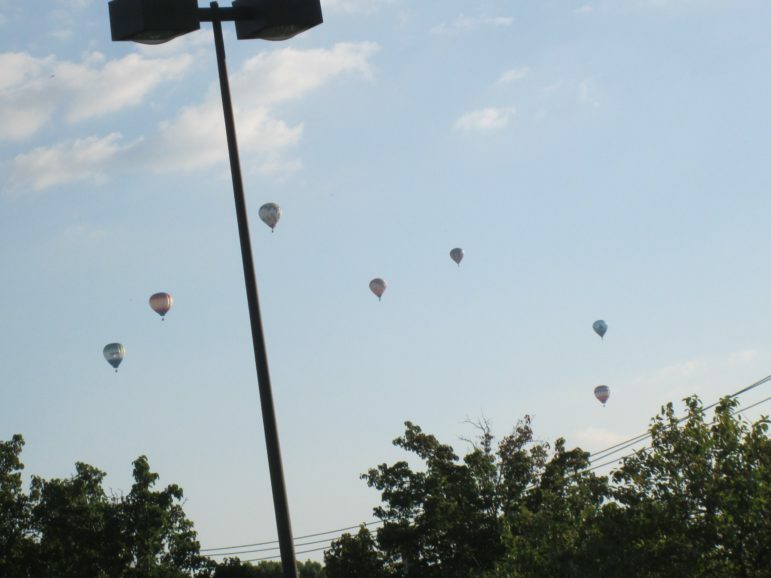 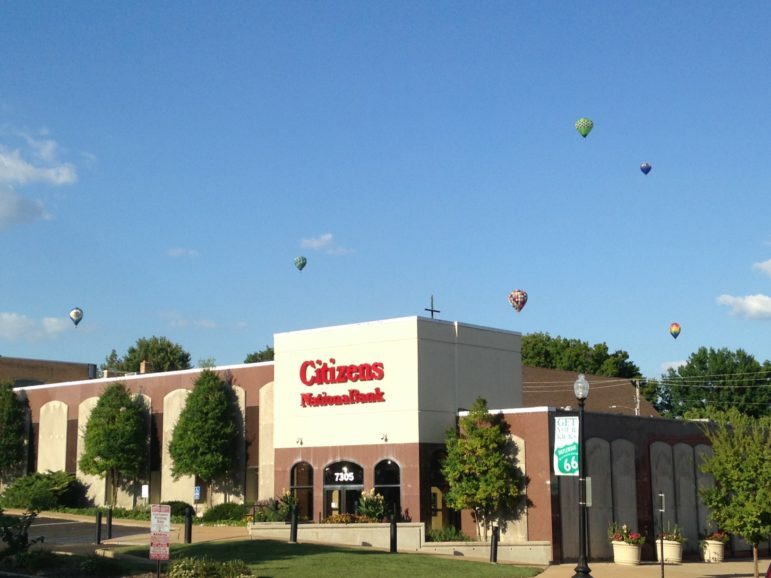 From Deb Elkin on Facebook: The balloons are crossing Big Bend at Manchester. 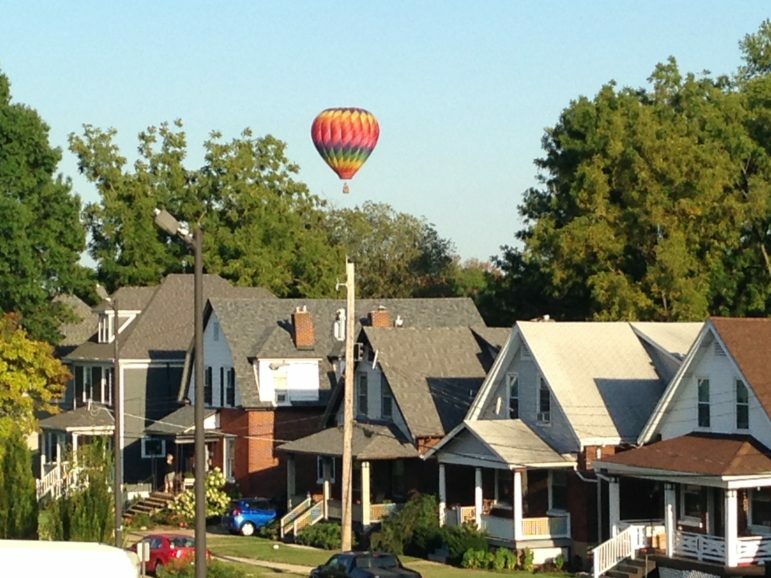 They’re so low you can hear the flames! 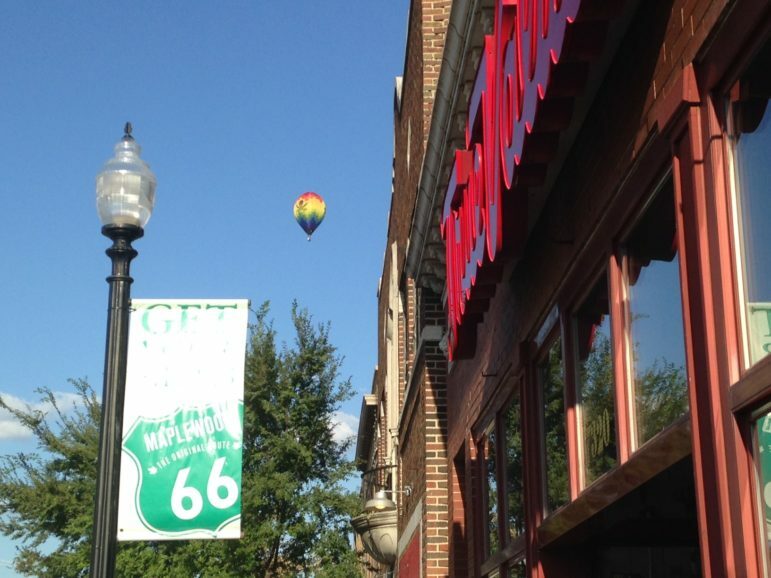 Here’s an Instagram post from a Maplewood business owner.